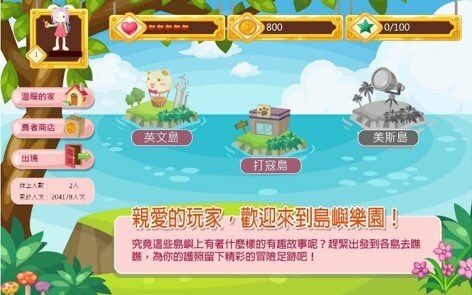 2015 Kaohsiung E-game platform, the 3rd edition, with a brand-new user interface was based on the 2nd edition Kaohsiung E-game platform, April 26th, 2005 (http://egame.kh.edu.tw). The subject of the 3rd edition E-game platform is “Programming for Flipped City – an U-Generation Islands of Adventure”. The new platform was built on the game-based learning strategy for learning English and software programming. Cross-Devices and Cross- Platforms: Developed by HTML5, integrated with OpenID, a decentralized certification system, and a horizontal extensible architecture. 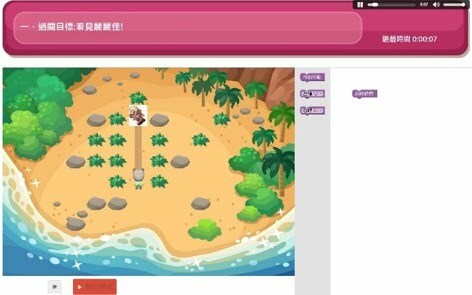 Exploratory Learning: an RPG learning platform including “English island,” “Da-Code island,” and “Math island.” In these islands, students are able to learn English, Coding, and Math through passing stages to gain achievements, earn v-money, get experience points, upgrade levels, and strengthen the character’s abilities. The platform offers a competitive mode among students across different schools and cities in Taiwan. 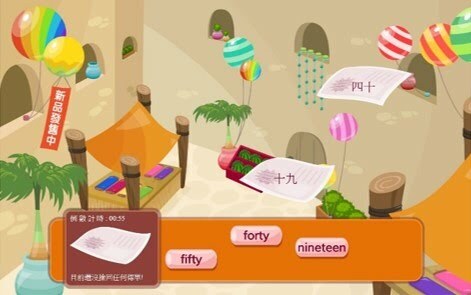 Various Types of English Learning Games: It focuses on the development of English learning materials. There are many types of materials including matching, multiple choices, listening sections, fill-in-the-blank, and word scrambles, in order to facilitate learning. Localization: Developing localized contents for students, and creating a delightful learning environment. 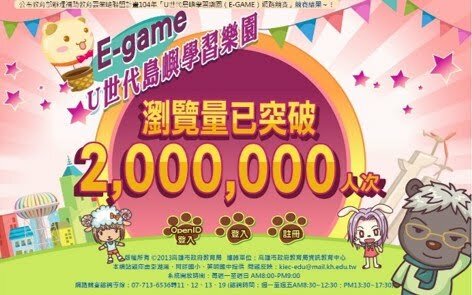 Students among many cities in Taiwan such as Keelung, Hsinchu, Nantou, Yunlin County, Tainan, Pingtung, Penghu, Kinmen, and Lianjiang joined E-game Contest. There were totally 603 schools participated, 57,878 registered accounts, 2,477,327 page views while the competition was held on April 3 to May 3, 2015.